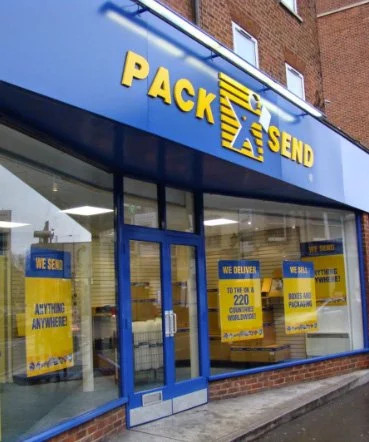 At PACK & SEND we use world class packing and delivery methods to ensure maximum reliability and handling care during the transit of your items. However, it's a tough world out there, and even with our class-leading level of care, occasionally, loss or damage can occur. We therefore offer an additional level of extra insurance protection for your delivery. To find out more, and achieve peace of mind, please explore this page and the links below, or contact your nearest PACK & SEND service centre. Regardless of size, age or fragility we have the expertise, and the cover, to ensure safe delivery of your items. The PACK & SEND Gold Service provides loss or damage protection warranty for our customers. Gold Service is offered as an addition to our professional packing service, address labeling, document preparation, freight pick up and delivery to the door, store or port; track and trace, as it protects the value of your consignment in the event of loss or damage – no matter what the value of your item is. If you need to ship a valuable or fragile item across the world or simply across town, only PACK & SEND can offer you Gold Service protection including loss and damage cover for any value. PACK & SEND’s fine art and antiques packing and shipping services are designed to ensure that items are protected and delivered in the same condition that they were collected in. However, we recognise that you may wish to have that extra peace-of-mind in the very unlikely event that damage or loss may occur during international delivery. We can put cover in place for any piece of electronic, IT, medical or laboratory equipment whilst in transit regardless of its value, fragility or sensitivity. Ask us about our PACK & SEND’s Gold Service protection. When you are sending an international shipment, it is very important that you are aware of the implications of the security rules surrounding international shipping. Failure to take notice of these rules and regulations could lead to holdups with your consignment or even potential fines. At PACK & SEND, we aim to provide the most convenient and complete shipping service available and have provided the advice below regarding how to securely ship to provide you with everything that you need to know about your shipments. If you have any further questions about international shipping security rules, feel free to contact us. Alternatively, drop into your nearest PACK & SEND store. We take every care to make sure that your items stay safe during transit. However, for complete peace of mind when you send your shipments domestically or internationally, we provide Gold Service protection to cover you for loss or damage to your important shipments.